Periodontics deals with maintaining the health of all supporting tissues and bone around the teeth and treatment of disease in them. Patients are usually advised to come every 6 months for Scaling and Polishing (Cleaning). The frequency may be increased or decreased depending on patient hygiene. Cleaning is carried out using the best Ultrasonic scalers, which are safe and do not damage the teeth. Many times new developing problems can be detected while cleaning which otherwise would not have been noticed. 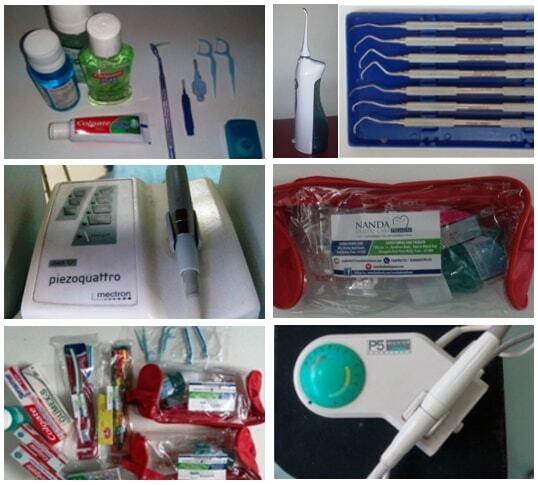 Patients are shown the right brushing techniques and the use of other oral hygiene aids such as dental floss and water flosser and are counseled on the importance of night brushing and the harmful effects of smoking and tobacco. Specially medicated toothpaste and mouthwashes are advised for patients with Sensitive teeth, Xerostomia (Dry Mouth) and Halitosis (Bad breath). Patients with severe periodontal disease can be treated by deep scaling and curettage or by flap surgery. The clinic has a finest known Periodontist in Pune, who visits any of the branches by prior appointment. The specialist also does different procedures such as gum depigmentation, frenectomy, and grafting. Most of these procedures can be carried out under Local Anaesthesia. Many times multispeciality treatment is required in cases of Endo-Perio lesions, where an Endodontist may have to do Root Canal Treatment for certain teeth when periodontal treatment is going on.